England’s decision to hand 16 fulltime contracts to 15 aside players carries on the seismic changes in the women’s game, says Ali Donnelly. Women’s rugby is in the midst of the most pivotal time in its short 34-year international history. In just a few weeks, 144 women will have the honour of becoming the game’s first ever Olympians in Rio - the impact of which is likely to thrust the women’s game into a new spotlight, in new territories alongside what we hope will a new surge in commercial interest for our sport. But while the Olympics is clearly front and centre of the global game, England’s relatively quiet announcement yesterday of major changes to their contracting policy is, in my view, just as worthy of a major focus. England were late to the contracting game, waiting until late 2014 and after the World Cup title was wrapped up, to switch their major focus to sevens and with that handing 20 contracts to players who would compete to make Team GB. Many, including this website, were concerned at the strategy of many nations of throwing almost their entire lot in behind the sevens game chasing Olympic medals, and though that was not quite the case for England, certainly their test match results since then will bear out just how tough an impact this refocusing had. Whether it is sustainable or not to continuously switch your focus depending on the cycle of priorities in the game – and England’s decision is clearly designed to help make up lost ground and retain the World Cup next summer – what they have done could set off the biggest catalyst of change ever in the 15s game. Firstly, the clear hint of a permanent sevens stream alongside a 15s stream is particularly noteworthy. Most nations, perhaps Canada apart, have struggled to adapt to the resource and handling headaches around running two programmes successfully. Although the reasons for that are multiple, England’s investment decision is a timely reminder that this largely comes down to money. There are not many people who follow the game who expected women’s 15s players to go professional any time soon and in becoming the first, England remain ahead of the game in every respect. There are fascinating questions too that this throws up. 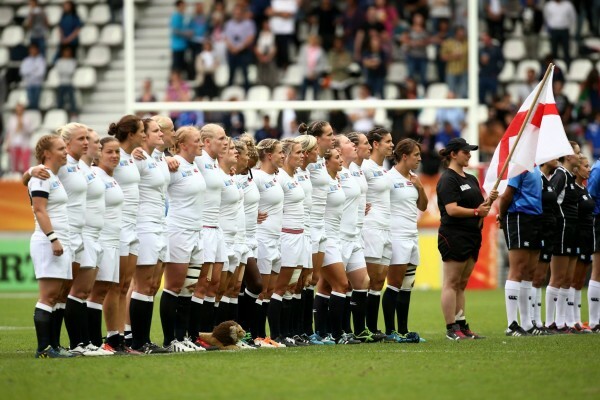 With the RFU’s investment will come renewed responsibilities for the women’s game in England, a game which will surely need to warrant some sort of a return to its union - not just in terms of trophies, but also publicity and sponsorship. How much more interest can England generate when they stand alone at the summit of nations now in their investment commitment? And how quickly might other top nations catch up? The world’s second best team – Canada - have only just ended pay-to-play; Australia have hardly fallen over themselves to fund the 15s game, New Zealand plead poverty; France at a guess could go part-time but the players there do not want full-time contracts; Wales & Scotland have contracted one or two players, but not 40+; Ireland?– many question marks. It is a brave call by England and others must now consider following their lead. How wonderful that the athletes we celebrate regularly on this website will have a platform beyond which they will have experienced before, to show just what great ambassadors for our sport they are. And we have some remarkable athletes showing our game to the world. There’s Jillion Potter, the truly inspirational American who is appearing just over a year from finishing cancer treatment; there’s England’s Nolli Waterman, who will become the only player to appear in three World Cup Finals and an Olympics; there’s Rebecca Tavo, the ex-Australian proving age is no barrier with Fiji and there’s the brilliant Barbara Pla who is representing her country, Spain, along with her brother in Rio. Wonderful stories given a wonderful stage. Ali Donnelly is the founder and editor of Scrumqueens.com and in her day job works in a government press team. Ali writes various columns on the women's game, including a monthly feature for Rugby World Magazine.